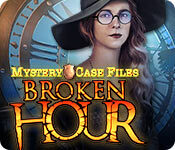 To celebrate the launch of the latest Mystery Case Files game, we are offering the Collector’s Edition of Mystery Case Files: Broken Hour for only $2.99 exclusively for Casual Game Guides' readers! Just use the coupon code CGGBROKEN at checkout! 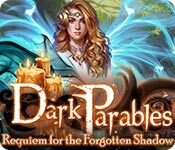 Our Dark Parables: Requiem for the Forgotten Shadow Collector's Edition Walkthrough is ready to guide you through the 13th installment of this beloved series. Get ready detective as you are headed to foothills of the Swiss Alps to the charming town of Anaben. An infectious illness has taken over the town, leaving the townspeople as former shadows of themselves. Who and what is behind this affliction? Jump on in to find out! Look to our handy guide to help you navigate your journey quickly and solve the mini games & challenging hidden object areas. We have included colorful screen captures and step by step instructions to help you throughout your game play! We hope you enjoy our Dark Parables: Requiem for the Forgotten Shadow Collector's Edition Walkthrough. In Caleb's Corner this week, our intrepid gamer goes head to head with Hero Siege, an exciting adventure game with loads of content and intense battle play, perfect for the player who wants a taste of an MMO in a single player game. Introducing a new segment, Caleb's Corner! Tune in to this week's Quick Play Through Review for the game Geometry Dash to get a rapid fire overview of how the game is played and what our resident gamer thinks of it! 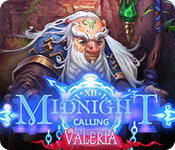 Grandma’s calling for your help in this exciting edition of Midnight Calling: Valeria Collector's Edition. The world is cooling at a speed that could cause devastating consequences and only you can help! Traverse the frigid landscape as you dig deeper into this challenging and exhilarating hidden objects adventure. Our Midnight Calling: Valeria Collector's Edition Walkthrough is bursting with illustrated screen shots & easy to follow instructions to help guide you to victory and restore balance to the world. 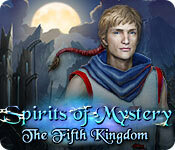 Keep warm and get ready to battle the mystical forces behind this wintery weather adventure! 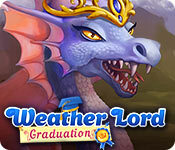 Weather Lord: Graduation Collector's Edition is the latest edition of this favorite time & resource management adventure! Princess Jenny along with Prof. Theodore need your help in recovering a stolen artifact that could compromise the well-being of the kingdom. Help her to manipulate the weather to her advantage, utilize her resources to their maximum capacity and secure her newly acquired position. Keep your eyes open and your feet moving as you must recover the egg artifact before it hatches & unleashes destruction that is beyond belief. Good luck and move quickly! We hope you enjoy Weather Lord: Graduation Collector's Edition. Fare well with our Spirits of Mystery: The Fifth Kingdom Walkthrough, as you will need it to battle the diabolical Isa in this latest installment of this beloved series! The 20 year ceremonial gathering is commencing and the heirs of the 4 kingdoms must unite to ensure peace & prosperity. But, in true Isa form things must go awry. Seek to find the secrets of the lost kingdom and save humanity before it’s too late. Refer to our multi-colored and easy to follow instructional guide to assist you along your journey to peace. 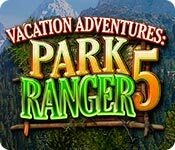 Vacation Adventures: Park Ranger 5 offers the exhilarating experience of the great outdoors! Tons of fun and challenging mini games are waiting after every hidden item scene that you encounter! Get your peepers ready to locate the hidden items and enjoy the sights and sounds of the beautifully illustrated settings of this enchanting game!